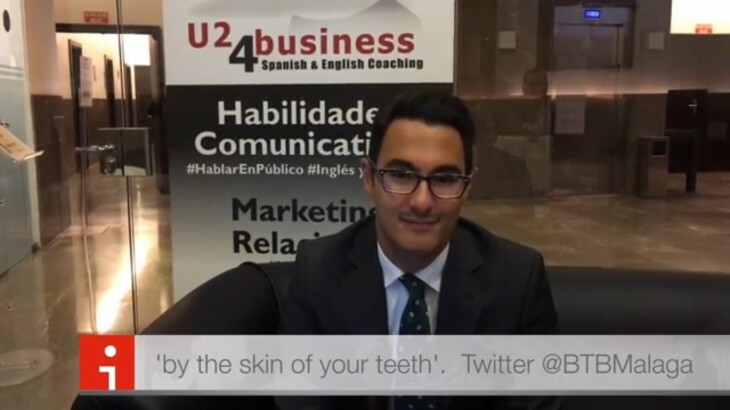 Idioms, U24BUSINESS, Videos aprender inglés, bonificada, BTB, BTB Málaga, BusinessTimeBreakfast, BusinessTimeBreakfastClub, clases de inglés, formación, idiomas, inglés, inglés de negocios, inglés gratis, inglés malaga, inglés online, recursos humanos, U24Business, YouTooForBusiness. permalink. My boss requested some critical information by the end of the week and I sent it to him at the very last day at the very last hour, so I made it by the skin of my teeth.